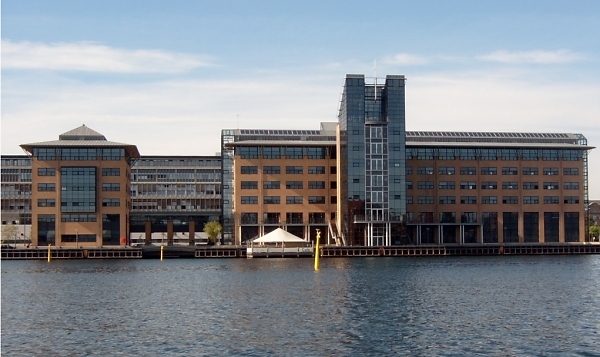 As from the 8 January 2007 the FIG Office will be in new premises on the harbour front in the Centre of Copenhagen, Denmark. During the move the FIG Office will be closed on the 4 and 5 January 2007. Our host, the Danish Association of Chartered Surveyors (DdL) has entered into an administrative and strategic co-operation with the Danish Society of Engineers (IDA). DdL will remain as an independent professional association, but from January 2007 the administrative and counselling member service will be provided by IDA at a high professional level and at much lower costs. To benefit from this new co-operation and to still also benefit from the attractive hosting agreement that the FIG Office has with DdL, the FIG Office is following DdL and move to the new premises at the very harbour front in the heart of Copenhagen. From these new premises DdL will continue providing service facilities including secretarial assistance when needed, free accommodation, meeting room facilities, etc., etc. only now in new and modern surroundings. The new premises provide meeting room facilities for several hundred participants, a restaurant, nearby hotels in all price levels and walking distance to Central Main Station with only 10 min. transfer to Copenhagen’s International Airport. It further facilitates direct access to central Copenhagen’s restaurants, shopping malls, and cultural life. The synergy of the closer co-operation between our host DdL and IDA will also be available to FIG who will benefit from the international atmosphere of a larger organisation and an environment of surveyors, engineers, and other specialist groups working within engineering and technology in a modern professional association. This will provide technical knowledge, competence development, network establishment and political influence. Feel free to contact the Office if you have any questions regarding the move.